Stanley Ferry Water Point is a minor waterways place minor waterways place place on the waterways major waterways place village town city on the Aire and Calder Navigation (Wakefield Section) between Fall Ing Junction (Junction of the Calder and Hebble Navigation and the Aire and Calder Navigation (Wakefield Section)) (2 miles and 3½ furlongs and 1 lock to the southwest) and Stanley Ferry Aqueduct (This is a pair of Aqueducts over the River Calder) (1¼ furlongs to the northeast). The nearest place in the direction of Fall Ing Junction is Ramsdens Bridge Visitor Moorings (48 hour moorings); ¼ furlongs away. The nearest place in the direction of Stanley Ferry Aqueduct is The Stanley Ferry PH (Fayre & Square pub and restaurant); ½ furlongs away. The water point is quite well hidden, under the tree. Starting point at southern end: Arriva Service No. 188. (Wakefield ... From Ferry Lane, walk to Balk Lane and then Stanley Ferry Flash. To plan your route, call ... This impressive welir regulates the water level for Aire and. Calder Navigation. 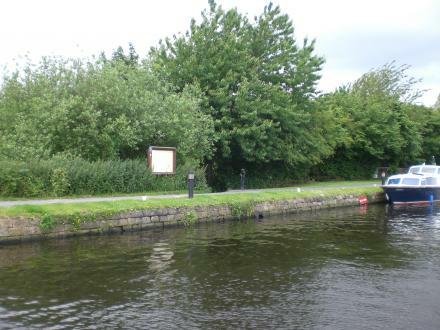 Boating holidays to Stanley Ferry near Wakefield on the Aire & Calder Navigation . ... Other boaters were really friendly and helpful especially at water points. Sep 8, 2009 ... Short Sea LinesPort officials in Grand River, in Lake County, and Port Burwell, Ontario, are ... "Maybe somewhere else in Cleveland, but at this point, it can't be built downtown. ... That's where the Port Stanley ferry was to dock. 80 Lime Pit Lane, Stanley, WF3 4DF — 1452 yards to the northwest. Ferry Lane, Stanley, Wakefield, WF3 4 — 121 yards to the north. Ferry Lane, Stanley, Stanley, WF3 4LT — 125 yards to the north. 116 Aberford Road Stanley, Wakefield, WF3 4 — 1205 yards to the west. Outwood, Wakefield — 1456 yards to the west. Wakefield — 1456 yards to the west. Aberford Road, Stanley, WF3 4JP — 1582 yards to the northwest. Dent Drive, Wakefield, WF1 4JG — 1395 yards to the southwest. ash grove, Wakefield, WF3 4JY — 1027 yards to the west. Wakefield — 1551 yards to the northwest. Brockadale Alpaca Stud, Jacksons Lane,Wentbridge, Pontefract, WF8 3HZ — 1456 yards to the west. Wakefield — 1333 yards to the southwest. Wakefield — 1394 yards to the north. 154 Aberford Road, Stanley, Wakefield, WF3 4NP — 1117 yards to the west. Netherton, Wakefield, WF4 — 1456 yards to the west. Tingley, Wakefield, WF3 — 1456 yards to the west. Avondale Way, Wakefield, WF2 7QU — 1456 yards to the west. 1 Ennerdale Rd, Wakefield, WF2 9HU — 1456 yards to the west. Stanley, Wakefield — 1502 yards to the northwest. Stanley — 1456 yards to the west. Newmillerdam, Wakefield — 1456 yards to the west. CANAL LANE, Stanley, WF3 4EA — 1456 yards to the west. 39A Warmfield lane, Wakefield, WF1 4BS — 1584 yards to the southwest. daw green avenue, Wakefield, WF4 — 1456 yards to the west. Leeds, PRIVATE — 1456 yards to the west. Manor Crest, Wakefield, WF4 3FD — 1456 yards to the west. Park Lodge Lane, Wakefield, WF1 4HY — 1456 yards to the west. Leeds — 1456 yards to the west. Aberford Road, Wakefield, WF1 4TS — 1553 yards to the west. Wakefield, WF1 4RX — 1596 yards to the southwest. Stanley Ferry Bridge, Ferry Lane, Stanley, WF3 4LT — 145 yards to the north. Wakefield City Academy, Wakefield, WF1 4RX — 1579 yards to the southwest. Wakefield, 00000 — 1456 yards to the west. Birkwood Road, Altofts,, Wakefield, WF3 4LZ — 749 yards to the east.